The Norbar TTi Torque Wrench is designed to guarantee operator comfort, accuracy and ease of usability across all industries. 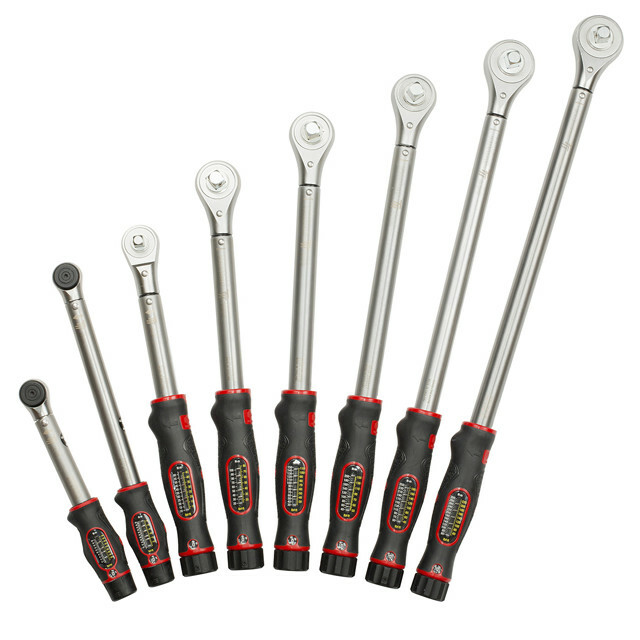 The Norbar range of TT Wrenches have been designed to guarantee operator comfort, accuracy and ease of usability. Available with a dual scale (Nm and lbf ft) or single denomination torque scale our TT Wrench range are accurate to +-3%. TTi torque wrenches are supplied with either a reversible ratchet or a push through ratchet to allow for torque control in both the clockwise and anticlockwise direction.